Dr. Guy L. Mintz will discuss the risk factors for heart disease including cholesterol, hypertension, inflammation, sleep apnea, diabetes, metabolic syndrome and family history. What causes a heart attack? Does an aspirin a day really keep the doctor away? Dr. Mintz will review lifestyle changes and medical therapies to maintain heart health. Plenty of time will be available for questions. 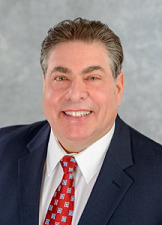 Guy L. Mintz, M.D. FACP, FACC is the Director of Cardiovascular Health & Lipidology at Sandra Atlas Bass Heart Hospital and Associate Professor of Medicine at the Zucker School of Medicine, Northwell. He is recognized as an expert in the areas of preventive cardiology including lipids, hypertension, and cardiovascular disease. He has lectured throughout the country in these areas. Registration suggested beginning Wednesday, January 2 at 10:00 a.m. by calling 466-8055, ext. 208/254 or register online.